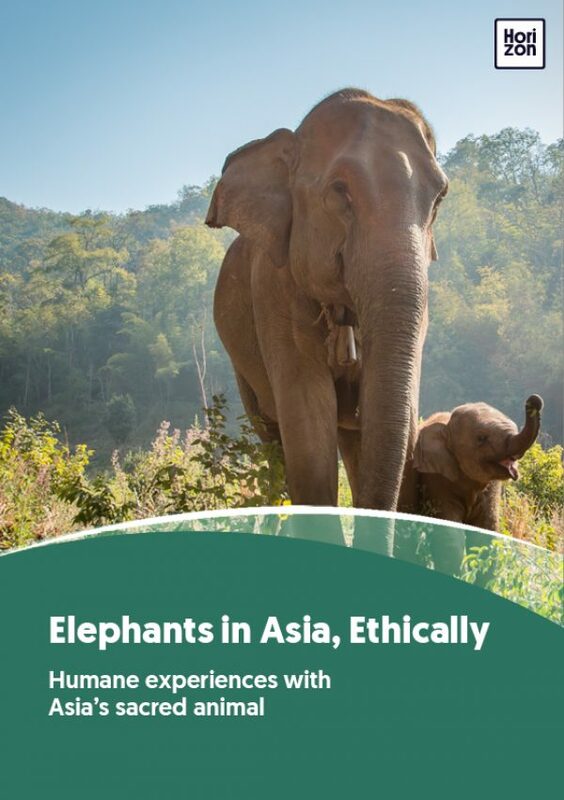 I lived in Chiang Mai, one of Thailand’s main centres for elephant tourism, for almost three years, working with the Save Elephant Foundation for much of that time. It became an issue very close to my heart, and I regularly receive emails from readers asking about elephant riding. Here are some of the questions I answer most often. How are captive elephants trained? One of the most troubling aspects of elephant training is the “spirit-breaking” process, called the phajaan. The Asian elephant is a massive, undomesticated, and potentially dangerous wild animal. Turning one into a submissive, obedient beast of burden is far from easy. The phajaan is a method for taming elephants and has been used for centuries to prepare the animals for direct human contact. It is a centuries-old ritual in which baby elephants are placed in small wooden enclosures, often called the crush, since its purpose is to “crush” the animal’s spirit. Their feet are tightly bound and they are struck with knives and other sharp implements on their most sensitive areas, over an extended period of time. This breaks the elephant’s independent spirit and instills a fear of humans that will stay with them for a lifetime. In this brutal manner, a wild elephant is tamed (but not domesticated). The phajaan goes on for days. During this time, they are deprived of sleep, food and water, and are beaten and bloodied until they learn to obey human commands. Many young elephants don’t survive. At the end of “the crush”, the natural ties to the family herd are gone and the elephant is left completely subservient to its master. This dirty secret is not widely known by tourists or acknowledged by the mainstream travel industry. Operators, of course, will deny that their elephants have undergone the phajaan but in reality, captive elephants working with people have often experienced this torture. It is what many elephants go through before they make it to trekking camps, circuses and zoos. It’s dangerous to assume that just because rides are available, even from an apparently legitimate operator, that there is anything ethical about them. That there is still demand for these activities merely indicates to the travel industry that abusing animals for our enjoyment is considered acceptable. Are shows, paintings and sports ok? Perhaps you’ve seen a video of elephants painting pictures or playing music and thought it was adorable. Elephants are so smart and talented, right? As with riding, these are all profoundly unnatural activities. Elephant painting can involve some of the most abusive training practices I have ever seen. The elephants are taught to lift and hold up their trunk. The paintbrush is inserted into the elephant’s nostril. The mahout then uses the trunk as an extension of his arm and guides the trunk to move as he wishes. Elephants are unable to see right in front of them, so they cannot see the paper on which they are painting. While they move the brush on the canvas, the mahout holds the ear tightly, a sharp nail in his hand stabbing into the earlobe. Elephants do not paint; they are simply used to make a painting. So, what’s the best way to experience elephants? Hands down, the best way to experience elephants is in their natural environment. Sadly, in many parts of Southeast Asia, their natural environment has been encroached upon by logging, mining and, in some cases, conflict. Safaris, such as Minneriya in Sri Lanka, are one way to see elephants in nature. But even these safaris verge on the irresponsible as they involve too many vehicles getting too close to the animals. Alternatively, visit and support Southeast Asia’s national parks for the chance (but far from guaranteed) to see wild elephants. How can I help elephants? Education is key to change. By educating others on the plight of captive elephants you can help make a change. Set an example. Don’t participate in rides or shows, don’t buy paintings. Speak out. Sharing photos of people riding elephants sends a message that encourages others to think about animal abuse in terms of “bucket-list” experiences. Don’t do it, and challenge your friends when they do. Instead, take a moment and educate people as to why images like this should not be shared via social media. Finally, consider supporting some of the organisations trying to do some good for both captive and wild elephants. Many of those organisations are included in this guide.